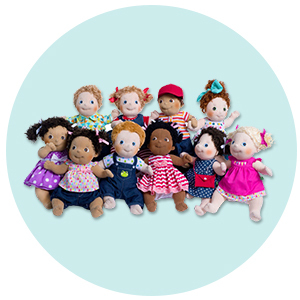 Traditional toys have a timeless quality that has enchanted children for generations. 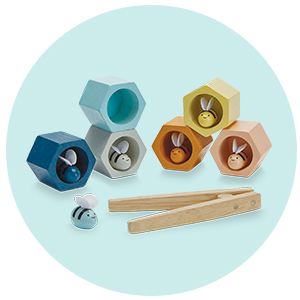 Our range of wooden and other toys have been handpicked to inspire and delight. Here are some of the best toys for six-year-olds that will foster their imaginations and offer wonderful opportunities for education through play. 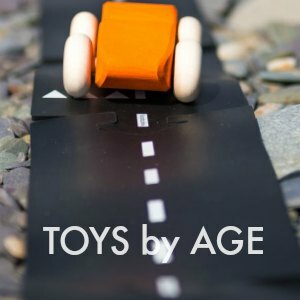 The Best Toys for 6-Year Olds Online! By the age of six children have developed an amazing capacity for play. They have the capacity for narrative thought, a vivid imagination, and a keen interest in learning and discovering through top toys for 6 years old children. Children love to play. Their vivid imaginations allow them to create whole worlds and intricate storylines where we see nothing but a few wooden blocks, a silk scarf and a few wooden animals. This imagination and creativity is a vital skill that should be nourished and encouraged through play by giving them open-ended toys that expand rather than limit their creativity. 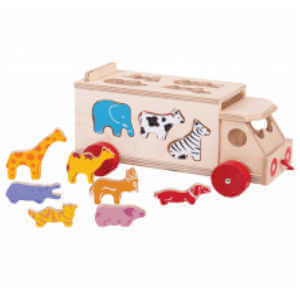 Our wide selection of traditional wooden toys for 6 year-old offers a vast number of opportunities for open-ended play. Simple shapes and lines offer endless possibilities and the same toy can take a different form depending on the day and the game that’s being played. There are no rules and no expectations with open-ended toys, meaning children can follow their own interests, act out their own stories all while enhancing their cognitive skills. Building blocks and animals are a great place to start and we love a play silk or this amazing grimms rainbow cape for a bit of fancy dress fun. And the wobbel is a winner at any age for keeping kids active as well as inspiring lots of creative play. A beautiful Grimms Rainbow, for example, can become a hotel, a jungle hideout, a farmyard or a racetrack. They are great for building and stacking with and can be combined with lots of other toys. All the Grimms range are handcrafted from natural and stained rather than painted leaving a textured finish that lends itself well to stacking and building. The stunning Ostheimer castle is also great for building as it can be rearranged in any number of ways for fantastical small world adventures. Add figures or animals and let your children create a make-believe world. 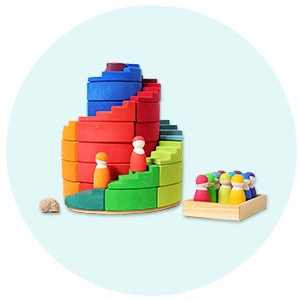 We love the magical simplicity of the Tegu magnetic building blocks. 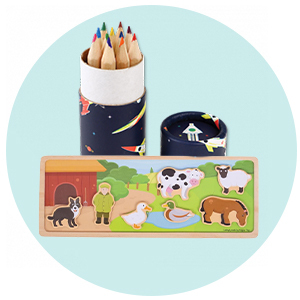 A step up from traditional building blocks these tactile wooden blocks have hidden magnets allowing children to build up as well as out and get even more creative with their inventions. A simple toy that will allow your child to rebuild and reimagine their creations countless times. Add some wheels and you can create cars and helicopters. And of course, they are still brilliant for building towers. By the age of 6 most children will be in school and you may find you want to encourage and assist their learning at home. Whether that’s helping them to delve deeper into subjects that fascinate them, or helping them with homework and concepts they struggle to grasp first time. The Djeco stationary is great for practising literacy skills and much for fun than a boring old school notebook. And they make some lovely stickers that could be used to decorate their work. 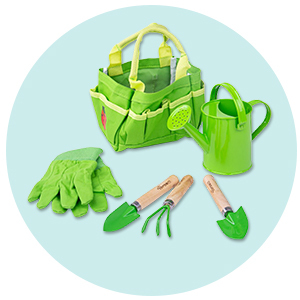 We have a great range of educational toys and puzzles that can be used in a variety of ways to make learning fun. There are lots of number and fraction puzzles that are great for helping children with mathematical concepts. The Djeco puzzles are great for quiet play as well as building cognitive function, helping with problem-solving skills and practising fine motor skills. The Around The World Observation Puzzle is a 200 piece puzzle that comes with a little booklet of things you have to find in the puzzle and information to learn more about them. With 200 pieces its difficult enough that it requires concentration and kids will get a great sense of achievement when they finish it. But not so tricky that they’ll end up giving up halfway through. And we have a great range of musical instruments to foster a love of music, movement and dance. The Our Generation dolls, each with their own personalities and hobbies will become your six-year-olds favourite companions for every adventure. These great dress up dolls are the next step on from baby dolls and are designed to share the hobbies and interests of your child. They come with lovely outfits, and you can get more separately. Plus you can get a great range of accessories such as pets, ponies and even an ice cream truck or gourmet kitchen. Speaking of kitchens, six-year-olds will still love playing shop or cafe games, cooking up delicious feasts and tasty treats and practising their numeracy and literacy skills at the same time when they write menu’s or add up how much to charge or how much change is needed. Adding a till or a set of scales to your collection could be a great way to encourage and enhance this type of play. 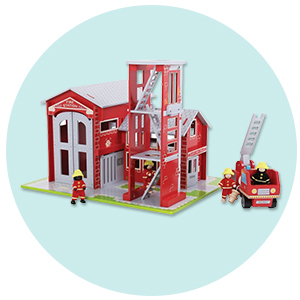 Other roleplay toys that children of this age will love include the doctor's sets and vets sets as well as toolkits including the fabulous Big Jigs Junior toolbox. Although it’s aimed at 8 plus we think there are probably a few six-year-olds who would be responsible enough to use it with supervision. We love Djeco at Babame. Their imaginative colourful toys are all created by highly talented artists and designers and are a joy to look as much as they are to play with. 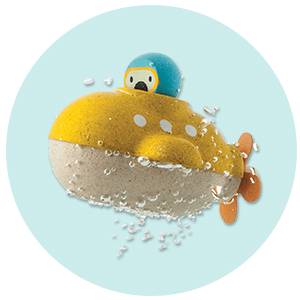 The Djeco Arty figures are perfect for fairytale games of pirates and princesses. And make a great alternative to branded superhero’s. These heroes and villains are ready for any adventure and make the perfect alternative inhabitants for dolls houses castles and pirate ships. Djeco also does a fantastic range of pop up toys including a princess tower, a fairy castle, a pirate ship and a very cool tree house. These are great value and perfect for slightly older children who are likely to treat them with more care than the average two-year-old. Djeco Pop to Play. We think these make the perfect gift for 6-year-olds. Great if you have lots of parties to go to. The tree house comes in at just over £10 and the space station is just under. Djeco Umbrella. Not a toy but they are fun, colourful, beautifully designed and perfect for rainy days. Plan Toys mini tins. The cactus is great for getting kids to sit still and concentrate and the perfect size to keep in a bag so its great for getting out at a restaurant or in a waiting room. The Big Jigs young chef baking set. They might still love playing pretend in the kitchen but by this age, they will love real baking too. 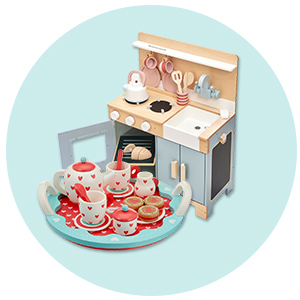 And what better way to encourage a love of cooking than with their very own bake set. Wobbel XL. A Wobbel board is a great gift for any age. A bit bigger than the standard wobbel the XL is perfect for older kids and grown-ups to wobble, balance and play. You can use them for yoga, practise skateboard skills, keep active when it’s too wet to go outside or incorporate into small world play. A great investment that will outlast all their other toys.